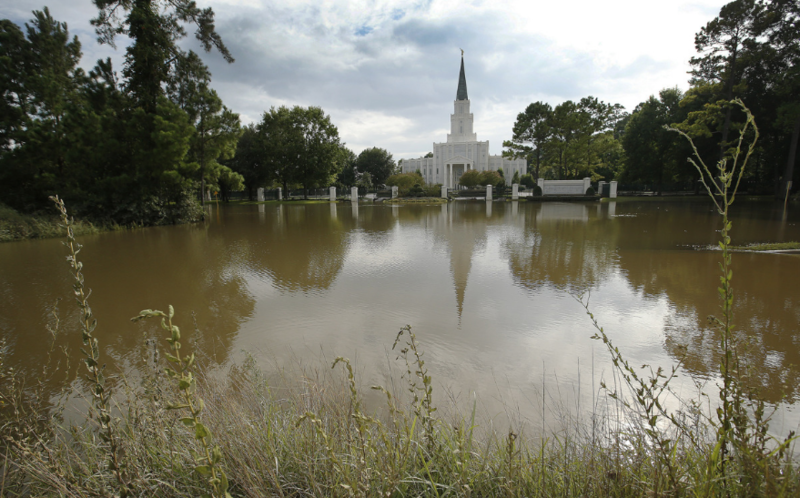 Cover image: The LDS Houston Texas Temple is surrounded by water after Tropical Storm Harvey in Houston on Wednesday, Aug. 30, 2017. But Latter-day Saints here say it will be a joyful day of rededication. The temple will be open for patrons two days later. Elder Daniel W. Jones’ life was changed by the events of the past eight months. He’s watched friends and neighbors abandon flooded, mold-infested homes. And he’s found strength watching yellow-clad waves of Mormon Helping Hands volunteers from across the country, stepping forward to help. And, like Vermillion and many other Texas Latter-day Saints, he’s looked to the day when the Houston Texas Temple would be open again for the work of the eternities.